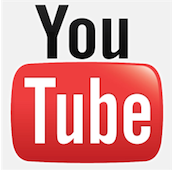 Google blocks YouTube app for Windows Phone again; Microsoft claims foul play! The on-going war between giants Google and Microsoft took an ugly turn yesterday when David Howard, corporate VP & deputy general counsel, litigation and antitrust at Microsoft blasted the search giant for the company's inconsistency with its 'commitment of openness'. To give you a better idea of the situation, here is a quick update as to what triggered the outburst. Last May, Microsoft had launched an improved version of the YouTube app on its Windows Phone platform. At the time, Google objected on a number of grounds (like it blocked Google ads on videos, allowed users to download them, and even showed videos marked private), which led Microsoft to take down the app from its store. The company also agreed to rework on the application programming interface (API) of the app with Google to solve their issues. The company re-introduced the app early this week, at the time stating that it had addressed the concerns Google expressed- only to see it blocked once again by Google. "Google's objections to our app are not only inconsistent with Google's own commitment of openness, but also involve requirements for a Windows Phone app that it doesn't impose on its own platform or Apple's (both of which use Google as the default search engine, of course)," he further added in the post. The blog mentions that Google asked Microsoft to transition its app to a new coding language â€“ HTML5. An odd request since neither YouTube's iPhone or Android app are built on HTML5, nevertheless, Microsoft claims to have dedicated significant engineering resources to examine the possibility, before finally agreeing that an app based on HTML5 would be technically difficult and time consuming. Hence, it decided to publish its non-HTML5 app while committing to work with Google long-term on an app based on HTML5. Google, however, blocked customers from accessing the new app. Google also claims that the app doesn't always serve ads based on conditions imposed by content creators. For the same, Microsoft asked Google to provide whatever information iPhone and Android get so that it can mirror the way ads are served on these platforms, but Google refused to give this information. Finally, Google also cites 'a degraded experience' as one of the reasons for blocking the app. "We think it's clear that Google just doesn't want Windows Phone users to have the same experience as Android and Apple users, and that their objections are nothing other than excuses. The roadblocks Google has set up are impossible to overcome, and they know it. We are happy to collaborate with Google on an HTML5 app, but we shouldn't be required to do something that apparently neither iPhone nor Android has successfully figured out how to do. If Google stops blocking our app, we are happy to work with them on this, entirely at Microsoft's expense," he concluded.